It got down into the 50s this week in Houston…brrrrrrrrr. This is when we all get our puffy coats out, if we even own a coat. So it was the perfect time to make a batch of soup to have around. I love just about any kind of vegetable-based soup. And ever since I got my Vitamix, I like any excuse to put stuff into it. This recipe could easily be creamy dreamy asparagus soup or pea soup or spinach soup or whatever-you-want-to-put-in-it soup. 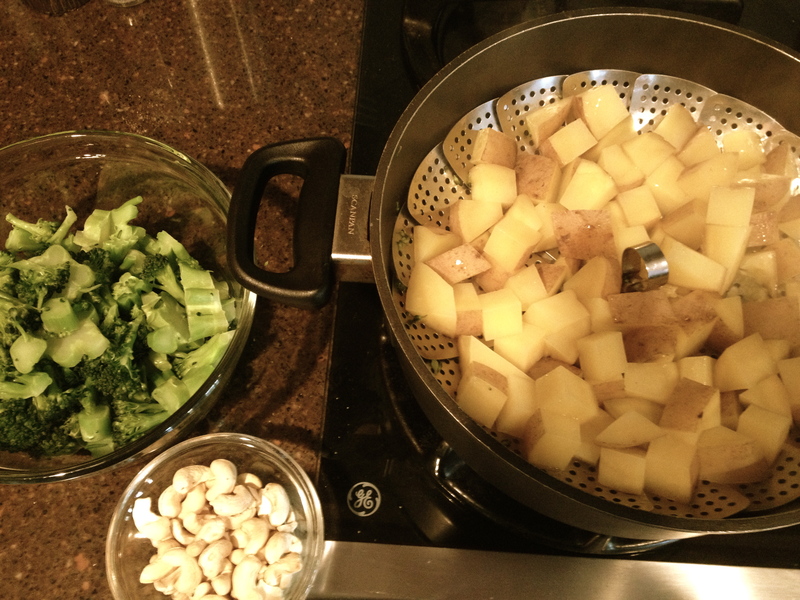 The formula is simple: steamed vegetables + cashews + vegetable broth + almond milk. This is my go-to recipe for a quick, light and easy soup/salad dinner. To me, it’s like a hot, savory smoothie. 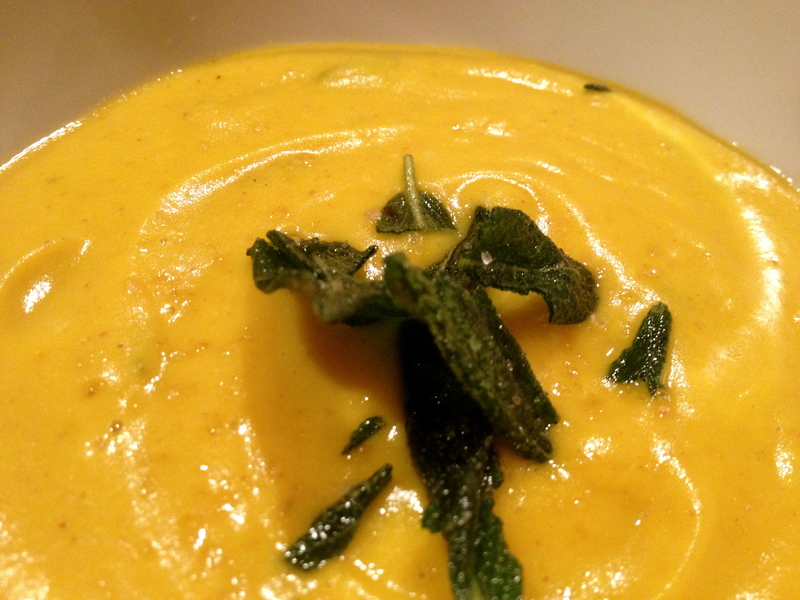 If you are used to cream or milk in your pureed soups, you won’t miss it a bit in this soup. 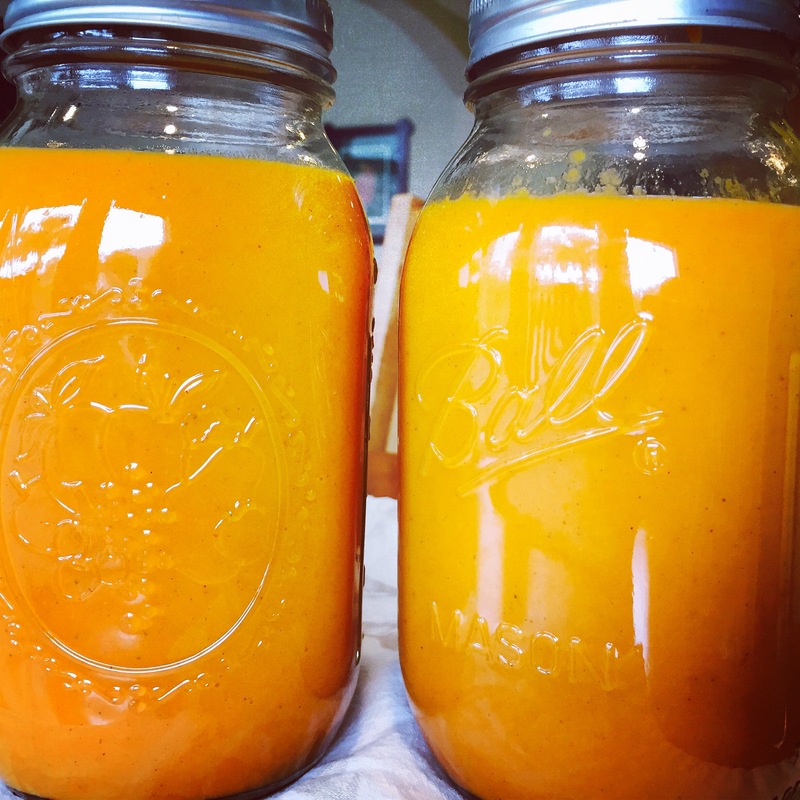 The texture and color are amazing: it’s silky smooth and bright, bright orange. 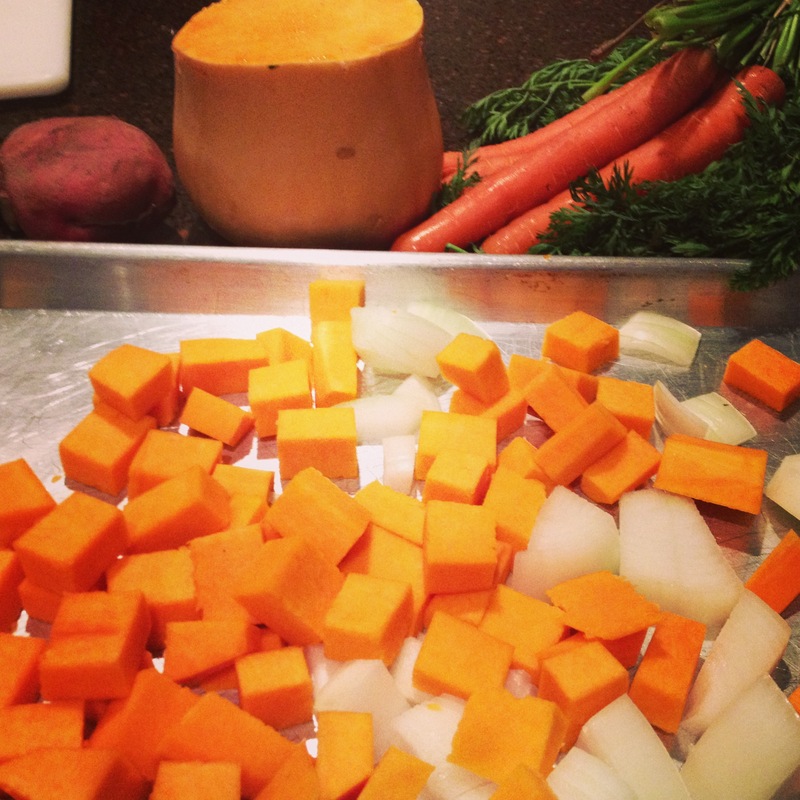 Start by roasting squash, sweet potatoes, carrots, onions and pears. The variety of vegetables gives the soup more depth of flavor.